Seminars and discussions in this workshop are open to all participants after prior registration. There is no obligation to attend the sessions regularly. Participation will only be restricted if too many people (c. 30) wish to attend each session. Participants can submit concrete works to be discussed during the workshop. They can be finished works, but preferably concepts for future projects or works-in-progress. Informative documents on these works (concepts, sketches, recordings, scores, videos, etc.) must be submitted as download links together with email registration. A broad variety of approaches are possible and welcome: instrumental, intermedia or electronic compositions, performances, music theater, videos or other forms. 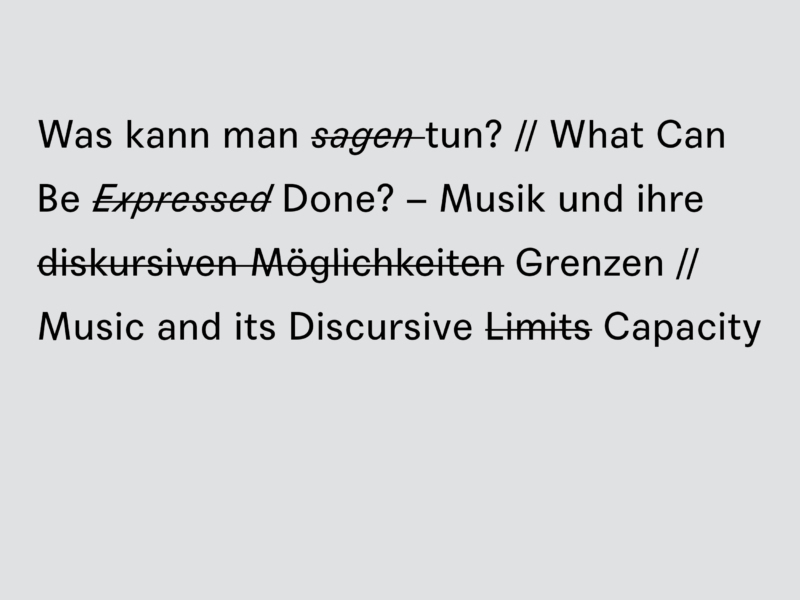 The only restriction is that the projects should be connected with the focus of the workshop: a compositional view on music as a discursive contribution to current debates.